New on AllOutdoor: Don’t just sit there — shoot from other positions, too! Read about the utility various shooting positions. If you are an Appleseed fan, please promote this post. This entry was posted in rifle, training and tagged AllOutdoor. Bookmark the permalink. 5 Responses to New on AllOutdoor: Don’t just sit there — shoot from other positions, too! Great write up. My 4-H kids had been shooting from a bench at 9 feet and only shot 5 rounds per meeting before I took over. That changed. First I put them in slings an prone and we spent several meeting on that. After a year we did a couple meetings where I brought stuffis (sandbags, pieces of firewood, blankets, shovels, a box of Little Debbie fudge rounds) and had them use the stuffis to create improvised supported positions. Starting on the bench at a short distance was easier but ignored fundamental development. Not the younger kids outshoot the older kids pretty regularly. 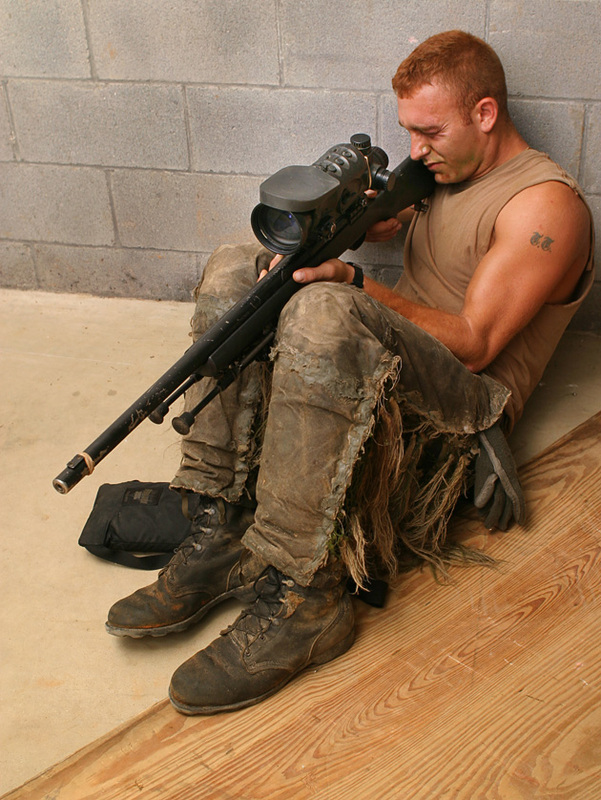 This is my favorite position…, wasn’t mentioned, but allows pretty accurate firing, even if you lack a bipod or other support. What is the rubber band for that’s around the muzzle? Wouldn’t it be more steady if the knees were together but the feet apart? It also looks like his head is in a very awkward position. I’ve touched off centerfire rifles from that position. You’ll feel the recoil in no uncertain terms, realizing almost simultaneously that you’ve managed to fix the back of your shoulder to an immovable object. Ouch.